Coker: "THE BATTLE OF PORT ROYAL"
With the opening of general hostilities between Union and Confederate forces, the latter struggled mightily to cobble together enough resources to even minimally defend its lengthy coastline. The entrance to Port Royal Sound, South Carolina was guarded by two earthworks mounting heavy guns, Ft. Walker on Hilton Head Island and Ft. Beauregard across the water at the tip of Bay Point. On November 7, 1861, a large U.S. fleet bombarded both into submission, forcing almost a wholesale Confederate evacuation of the sea islands. 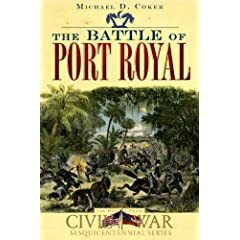 Michael D. Coker's The Battle of Port Royal covers this important moment early in the Civil War, as the Union army and navy gained secure bases for blockade enforcement and for conducting future amphibious operations along the South Carolina, Georgia, and Florida coasts. At 128 pages, Coker's work is a compact overview of the campaign, from its inception through the naval victory mentioned above and the capture of the town of Beaufort the following month. The text incorporates lengthy excerpts from primary accounts penned by reporters, military officers, and civilians. Sidebars, sometimes several pages in length, are interspersed throughout, providing additional background and biographical information. In places, the combination could be somewhat disruptive to the overall flow of the core narrative, but not excessively so. In general, Coker's writing is less concerned with the tactical minutiae of the fleet's attack plan and the Confederate defenses, and more with conveying the experiences of individuals in their own words. This style choice achieves perhaps its best expression in the chapters covering the Union fleet's storm tossed journey south. The volume is abundantly illustrated. In addition to numerous photographs of people and places, period drawings of the two forts were included as well as a pair of archival maps depicting the area of the naval attack. The social project undertaken in the aftermath of the campaign that came to be known as the Port Royal Experiment is summarized, but discussion of the author's thoughts on the military options made available by the Union victory is largely absent [e.g. critics often take issue with the relative passivity of the Union army commander, General Thomas Sherman, arguing instead that he should have struck inland immediately and attacked either Savannah or Charleston]. While not an exhaustive treatment that shuts the door on others for the foreseeable future, The Battle of Port Royal is a well rounded popular account of a critical early war campaign that will appeal to a wide range of interested Civil War readers. Booknotes: "Nevada Military Place Names of the Indian Wars and Civil War"
Publications dealing with the Civil War years in Nevada don't exactly burn up the stacks, but some action did occur there. Rushed into statehood just prior to the 1864 presidential election (read into that what you will), the Nevada Territory had already contributed two battalions (one each of infantry and cavalry) and over 1,000 men to the Union cause. Daniel C.B. Rathbun's Nevada Military Place Names of the Indian Wars and Civil War (Yucca Tree Press, 2002) explores many of the sites associated with these men and the many California volunteers that assisted them in protecting settlements and travel routes from hostile Indians (and perhaps the occasional secession rabble rouser). The sites are organized alphabetically, with annotated text descriptions ranging from a few paragraphs to a few pages. It is more encyclopedia than tour guide. Period and modern photographs are numerous, as well as plats and maps associated with a number of forts and camps. The book is out of print, but it worth picking up if you're interested in the war in the Far West. Beard: "BLUE SPRINGS: A History of the Desperate Battles at Blue Springs for the Control of Upper East Tennessee During the Civil War"
The town of Mosheim, Tennessee (Blue Springs, TN in 1863) hosts an annual reenactment of the Battle of Blue Springs, and in 1997 commissioned the publication of a historical account of the fight, the result of which was William A. Beard's Blue Springs: A History of the Desperate Battles at Blue Springs for the Control of Upper East Tennessee During the Civil War. Beard is a former president of the Jefferson County Historical Society and author of a regimental history of the 79th New York (the "Cameron Highlanders"). Although it covers a pair of battles fought in the area, Blue Springs focuses on the larger and more significant October 10, 1863 action. On that date, an outnumbered Confederate cavalry brigade commanded by Gen. William S. "Cerro Gordo" Williams, under the impression it was conducting a diversion in favor of a larger advance, fought a strong detachment of Gen. Ambrose E. Burnside's Army of the Ohio south of Bull's Gap and was driven back. The victors, Gen. James M. Shackelford's division, supported by Gen. Edward Ferrero’s infantry division, were temporarily able to clear upper East Tennessee, enabling the Union forces to redirect their focus toward besieged Chattanooga. Beard recounts the battle in some detail, mostly at brigade scale. Four original maps and a pair of reproductions of Union engineer officer Orlando M. Poe's battlefield sketch help orient the reader and provide a general idea of unit placement. Following this, a very brief chapter summarizes the August 23, 1864 Second Battle of Blue Springs, another Union victory. The book's quality gloss paper sets off its large array of period and modern photographs (of persons, buildings, landscapes, and battlefield artifacts). Event chronologies and orders of battle are located in the appendices. The latter are quite detailed, and boast armament information and some numbers data. There is a bibliography and index, but unfortunately no footnotes. 1863-64 operations in East Tennessee comprise one of the most neglected military subjects in the Civil War literature. While Blue Springs does not approach a definitive treatment, even for the small segment of the larger campaign that it does cover, it will present interested readers with a useful text and pictorial summary of movements in the area as well as the leaders and units that conducted them. * - Special thanks to Jim Allen, Executive Director of the Battle of Blue Springs event (held in mid-October of each year, but with a 2009 hiatus) and Chairman of the Planning Committee. If you buy a lot of used books online, you are bound to receive a book from a careless seller that reeks of cigarette and/or cigar smoke (undisclosed in the listing, of course). Remedies abound in the Internet, but one of negligible risk that I've tried involves sealing the book in a bag with a small bowl (6 oz. or so) of baking soda for about two weeks. I received a particularly egregious example in the mail recently, and the bag & soda cut the offensive stench down to almost nothing. Does anyone else have any tried and true methods to share? 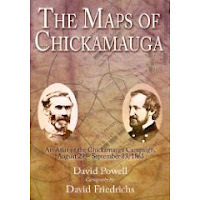 Powell & Friedrichs: "THE MAPS OF CHICKAMAUGA: An Atlas of the Chickamauga Campaign, Including the Tullahoma Operations, June 22 - September 23, 1863"
The third volume in the Savas Beatie Military Atlas Series, The Maps of Chickamauga is an impressive leap forward, both in the standards of the series and the advancement of what is known about the Chickamauga campaign. David Powell's expert narrative and cartographer David Friedrichs's clear, informative, and attractive visual rendering of his co-author's operational and tactical descriptions provide readers with the best aid yet in comprehending what is perhaps the Civil War's most complicated major battle. With his extensive and highly regarded wargame design background and personal immersion in the study of a single campaign, one cannot imagine a better choice for this particular project than David Powell. With an atlas series that demands unusually much in the way of precision, almost 15 years of serious research on the part of the co-author confers a measure of authority on the subject. Combined with the nature of wargame design, the process of which allows for less fudging in the way of small unit composition and map placement than perhaps any other medium of historical study, readers can be more than reasonably assured of Powell's due diligence. In pairing a page-sized map on the right side, with a full page of descriptive and analytical text on the left, The Maps of Chickamauga shares the series format with the other volumes, including its division of the action into map sets (in this case, sixteen). Not surprisingly, the bulk of the map sets cover the Chickamauga battle, but these are bookended by good general coverage of the preceding Tullahoma Campaign (Set 1) and the post-battle retreat/pursuit (Set 16). The cartography portion of the book is composed of 120 original color creations, the best the series has offered so far. As with the other volumes, the unit scale is at regiment and battery level. Terrain details include creeks, fords, bridges, fields, orchards, woods, roads, trails, buildings, and fence lines. While precisely marked topographical lines do not underlay the action, more generalized elevation contours are present. The military detail is exquisite, with even the supporting battle lines drawn at regimental scale. Approximate times (in 15 minutes intervals in places) are provided, and operational maps are periodically inserted after a series of micro-tactical drawings to help the reader keep track of the overall ebb and flow of the battle. 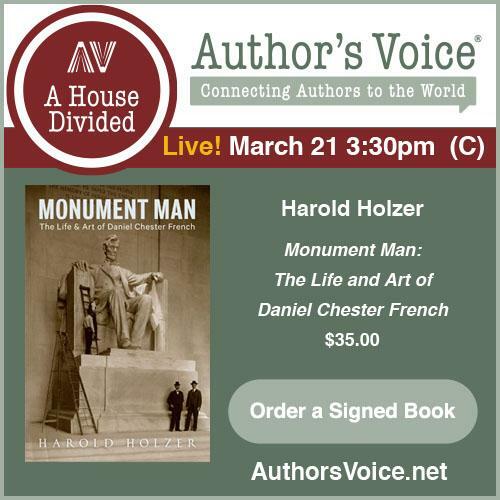 The text half of the volume is documented, with end notes and bibliography included. A pair of orders of battle (Tullahoma and Chickamauga) compose the appendices. Powell also integrated his own numbers and losses research into the Chickamauga OB, an all too rare step that is always deeply appreciated by a subset of readers. The only thing detracting from the overall professionalism of the project's presentation is the large number of typos, especially in the map labels. Given the size and importance of Chickamauga, the scarcity of essential secondary works is one of the enduring mysteries of Civil War military history publishing. Authoritative and immensely useful in making sense of the mass confusion that characterized the movements and fighting in the fields and forests of north Georgia in September 1863, The Maps of Chickamauga is the most significant contribution to our understanding of the Chickamauga campaign and battle in quite some time. This offering from Powell and Friedrichs is well worthy of placement at or near the top of a shamefully small group of canonical works on the subject. Highly recommended. 1. Thunder on the River: The Civil War in Northeast Florida by Daniel L. Schafer (UP of Florida, 2010). Readers with a previous interest in the subject might recall Schafer as the author of Jacksonville's Ordeal by Fire (Florida Publishing Co., 1984). This new book is a much more expansive and scholarly military and social history of the region, again centering on the series of Union occupations of Jacksonville and environs. It looks great. 2. The Die Is Cast: Arkansas Goes to War, 1861 edited by Mark K. Christ (The Butler Center for Arkansas Studies, 2010). This slim volume is a compilation of essays examining Arkansas's road to secession and Civil War, from a variety of perspectives (Confederates, Unionists, women, etc.). 3. Texas Devils: Rangers and Regulars on the Lower Rio Grande, 1846-1861 by Michael L. Collins (Univ. of Oklahoma Press, 2010). New paperback edition (originally published in hardcover in 2008). Collins reassesses the role and conduct of the Texas Rangers along the border. From the publisher description of the book, I gather it won't be a positive one. Siddali (ed. 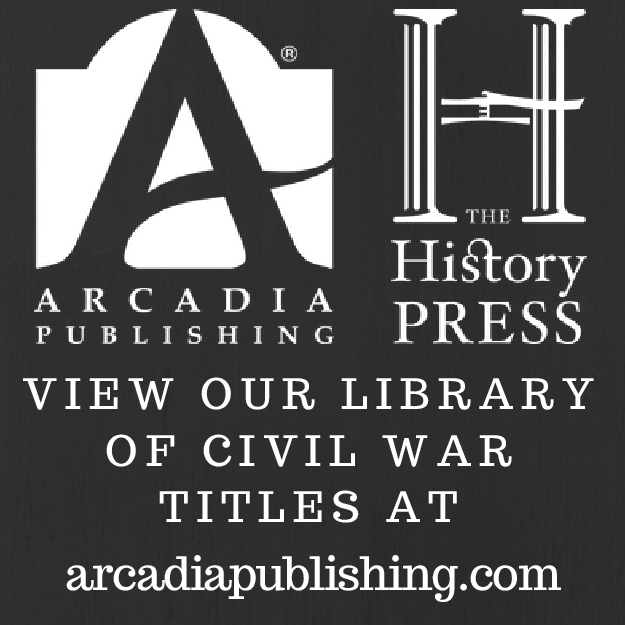 ): "MISSOURI'S WAR: The Civil War in Documents"
Each volume compiled and edited by a different scholar, Ohio University Press's The Civil War in the Great Interior series is an interesting exercise in source material selection on a state level. The third and newest entry is Missouri's War: The Civil War in Documents, edited by St. Louis University history professor Silvana R. Siddali. In researching her book, Siddali diligently gathered public and private material to and/or from just about every conceivable Missouri political, military, and ethnic constituency, much of it published for the first time. An impressively thorough job was made of it. The documents range from military and government reports and communications to newspaper correspondence, letters, diaries, memoirs, poems, and songs. Making the volume of material more manageable, Siddali divided the book into eight sections covering slavery in the state, the political divisions, the reaction to the outbreak of war, the battles fought within the state, the civilian experience, the guerrilla war and the imprisonment of civilians, emancipation, and reconciliation. Emphases are subjective, but no important segment of the war in Missouri is entirely neglected. Preceding its reproduction with an introduction varying in length from a sentence or two to a sizable paragraph, Siddali provides each document with background and context. The physical location of the original document is also noted at the bottom. Additionally, a brief annotated narrative (four to five pages in length) introduces each of the eight major sections mentioned above. The book is well conceived and organized. A timeline, a set of discussion questions, a selected bibliography, and an index round out the volume. Missouri's War is well suited for classroom and reference use, and deserves placement in personal and institutional libraries. Students of the middle western states's roles in the Civil War should look forward to the publication of future volumes in the series*. Recommended. * - Kansas, Michigan, and Wisconsin volumes are in the works (edited by Pearl Ponce, John Quist, and Chandra Manning, respectively). Kansas is currently scheduled for a Fall/Winter '10 release. 1. Brush Men and Vigilantes: Civil War Dissent in Texas by David Pickering and Judy Falls (Texas A&M Univ. Press, 2004). An important volume in understanding southern unionism in the Lone Star State and the Confederate response to it. Brush Men centers on the NE counties. 2. Tyler Texas C. S. A.: The Story of the Confederate States Ordnance Works at Tyler Texas 1861-1865 by William A. Albaugh III (Broadfoot, 1993). The Broadfoot reissue is a reprint of the 1958 Stackpole edition. Going on 60+ years from first publication, this remains the only significant book length study of a Confederate arms production facility located in the Trans-Mississippi theater (I think). 3. Images of the Civil War in West Virginia by Terry Lowry and Stan Cohen (Quarrier Press, 2000). This is a great compilation of photographs, maps, and drawings from two long time veterans of West Virginia Civil War publishing. 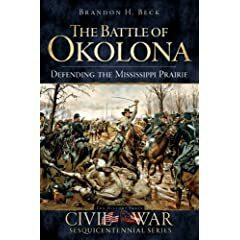 Beck: "THE BATTLE OF OKOLONA: Defending the Mississippi Prairie"
Author Brandon Beck is best known to Civil War students for his Shenandoah Valley military studies, but his new book The Battle of Okolona takes readers to the conflict's western theater and the fertile lands of northern Mississippi. Although the Confederate army guarded the area (mainly with cavalry) throughout the war, the Mississippi prairie remains one of the more obscure southern breadbasket regions in the Civil War literature. However, during the February 1864 Meridian Campaign, clashes on the prairie were front and center as the northern wing of Major General William T. Sherman's two-pronged operation (7,000 cavalrymen under Brigadier General William Sooy Smith) met a much smaller Confederate mounted force under General Nathan Bedford Forrest and was turned back from uniting with Sherman at or near Meridian, Mississippi. Beck's military study is brief (71 pages of narrative), but it is a fully documented treatment centering on the series of running battles fought between Smith's and Forrest's commands during the period February 21-22. In short, Smith met Forrest's vanguard at Ellis's Bridge on the 21st, and, timidly fearing for his flanks and rear, withdrew north up the Mobile & Ohio Railroad, standing briefly at Okolona on the 22nd before continuing his retreat across the border to Collierville, Tennessee. Two maps are included in the book, an area map of northeastern Mississippi and a smaller scale drawing detailing the course of Smith's dozen or so mile retreat route between West Point and Pontotoc. Maps depicting terrain and troop dispositions at sites such as Ellis's Bridge and Okolona are absent, and readers should not expect from this short overview to find a micro-tactical history and analysis of these battles. Substantial space is devoted to background material and a discussion of the campaign's aftermath. Although something of a Grant favorite, the campaign exposed the often physically incapacitated Smith as a timid leader unsuited to independent, and especially cavalry, command. Outlined in the text are Smith's later attempts to paint his part in the Meridian Campaign as a military success as well as a devastating economic blow to the Confederacy, both of which strike the objective reader as weak and unsubstantiated. Three tours [I- downtown Okolona, II- retreat and pursuit route, III- a loop from Okolona to Egypt, West Point, Columbus and back], supplemented with fine photographs of sites and stops along the way, are included. There's no modern map tracing the route, but the directions, given in mile-tenths, do not appear to be difficult to follow. Even though demanding readers will have wished the author delved into more tactical detail, given the subject's relative scarcity of coverage in the literature, The Battle of Okolona can be widely recommended to western theater cavalry students. Volume VII Unwritten Chapters of the Civil War West of the River - "CONFEDERATE "TALES OF THE WAR" IN THE TRANS-MISSISSIPPI, PART ONE: 1861"
"Volume VII CONFEDERATE "TALES OF THE WAR" IN THE TRANS-MISSISSIPPI, PART 1: 1861. Edited by Michael Banasik. In 1885, the St. Louis Missouri Republican began a Saturday series of articles on the Civil War by the participants, from the lowliest private to the most exalted general. The series ran for two years, comprising in all 94 articles, which dealt with all theaters of the war, including the high seas, from both the Northern and Southern perspectives. Being the home of most readers of the Republican, Missouri figures prominently in the series. Due to the number of pieces on Missouri and the Trans-Mississippi, editor Michael Banasik has grouped them by year. Part One of Confederate "Tales of the War" contains only those articles on the first year of the war, from the Confederate perspective, including the rise to power of Frank Blair and Nathaniel Lyon in St. Louis, the Missouri Battles of Dug Springs, Wilson's Creek, Springfield (Zagonyi's Charge), Belmont, Salem, Mt. Zion Church, and the controversy over Confederate support for the secession of Missouri. Subsequent volumes in our series will include articles covering the rest of the war, also those from the Northern point of view. 232 pages, 6 x 9 paperback, illustrations, maps, notes, appendices, bibliography, index. (Published 2010; ISBN: 978-1-929919-22-2) $17.95." Looks like a Battles & Leaders-type project for the Trans-Mississippi. Very nice. Check back for a review in the near future. The passing of Dr. Arthur W. Bergeron, Jr. Although I never had the opportunity to meet Art Bergeron in person, he was the only professional Civil War historian that I corresponded with on a regular basis, and I was greatly saddened to hear of his passing. When it came to his beloved Louisiana, he cheerfully helped me on so many occasions that it is impossible to count. And it wasn't just token help off the top of his head, he freely gave of his own time to do research for me. On a personal level, I will sorely miss his advice and generosity, and every serious student (amateur and professional) of Civil War Louisiana knows what a loss his untimely death truly is. My thoughts go out to his family and friends. Rest in Peace, Art. Texas A&M University Press is at the center of a distribution consortium of many small presses located in the state. I don't think I have any Texas Christian University Press titles in my library, but a pair upcoming releases from TCU's Center for Texas Study's Texas Biography Series look to be of interest. Edmund J. Davis was one of the most important and controversial Texas unionist leaders, militarily as the commander of the 1st Texas Cavalry (U.S.), and after the war in vying with other figures like A.J. Hamilton for political power. I look forward to reading Carl H. Moneyhon's biography Edmund J. Davis of Texas: Civil War General, Republican Leader, Reconstruction Governor , due out early next month. It looks like the series webpage hasn't been updated in a long while, and I haven't found much information yet for John S. "Rip" Ford: Fighting for Texas by Richard B. McCaslin. Ford, who commanded cavalry units stationed along the Texas-Mexico border during the Civil War, is a major figure in Texas history and deserving of a full biography. On a different note, my search for Ford book info came up with a nugget from Prof. McCaslin's CV, which listed another forthcoming book project of interest, A Distant Thunder: The Civil War in the Trans-Mississippi (U. of Nebraska Press). Hsieh: "WEST POINTERS AND THE CIVIL WAR: The Old Army in War and Peace"
American citizens of today may view the United States Military Academy at West Point as an essential institution, but it has not always been so. Distrust of standing armies and of a privileged military caste was a more popular feeling during the early decades of the republic. Historian Wayne Wei-siang Hsieh's new book West Pointers and the Civil War: The Old Army in War and Peace examines the central role West Point-trained officers played in the creation of a professional army for the fledgling military power that was the United States in the early to mid nineteenth century. These traditions and influences would, in turn, be carried over into the Civil War years, ensuring that both the Union and Confederate armies would share basically the same organizational structure and military culture. Hsieh's devotes a great deal of attention to the professional evolution of the U.S. army, from the War of 1812 through the end of the Civil War. Even though amateurs continued to be placed in positions of great responsibility, the author credits the impressive performance of the U.S. army in the Mexican War to the steady increase in the skill and influence of West Pointers between 1814 and 1846. His overview of the development and implementation of the various tactical manuals used during this period and beyond (as well as the controversies that arose from them) is helpful. Several interesting topics pop up, as well as correctives. For instance, many Civil War writers tend to simplistically point to the rifle musket as the driving force behind the increase in the speed of the tactical evolutions prescribed in William J. Hardee's 1855 Rifle and Light Infantry Tactics manual, but Hsieh notes that increased speed had professional advocates long before the Minie ball came into general use. It is often subtle observations and differing points of emphasis drawn from familiar material that characterize Hseih's approach, rather than broad original interpretations. The author highlights the point (not sufficiently appreciated by other writers, in this reviewer's opinion) that battles of annihilation did not occur primarily because the two armies were too similar in leadership, culture, organization, morale, motivation, doctrine, and equipment. They were basically mirror images of each other, with no significantly exploitable asymmetries, such as those inherent to armies of different nationalities and military traditions. This is not a completely original conception of the difficulties Civil War armies had in achieving decisive victory*, but the point bears repeating and is well presented here. Sure, the general resource levels and arms quality of Confederate armies were often inferior to those of their Union foes, but not to a degree sufficient to open the door wide enough for generally decisive results. Hsieh seems to hold the view that the lack of structural and technological asymmetry between Union and Confederate formations essentially made high command leadership (dominated by West Point-trained officers) the only realistic avenue for achieving the military dissolution of enemy armies in the field. However, this army level leadership, 'drawn from the same well' so to speak and demonstrating a similar rate of skill progression, allowed neither side to gain any kind of systemic advantage in operational competence over the other. It's a point well made, and the author establishes himself firmly on the side of human issues as opposed to technological developments as the primary contributor to inconclusive tactical results. A few factual errors and dated interpretations crop up in the text, but they are harmless to the core narrative. He does join a long line of historians in repeatedly blaming George McClellan for the war-spanning command dysfunction of the Army of the Potomac (even though the general was sacked way back in November 1862), without assigning comparable weight to the political leadership's role in the selection and politicization of the officer corps of the country's primary eastern army. Combining synthetic elements and solid research with the author's own (often subtle) interpretive slant, Wayne Wei-siang Hsieh's West Pointers and the Civil War is worthwhile reading for those interested in the transformational steps taken by the antebellum U.S. Army, and what they would ultimately mean for the conduct of the war fought between Union and Confederate forces. Recommended. 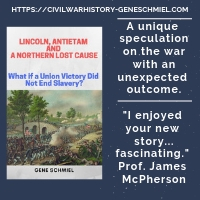 * - In fact, it was a major interpretive element in the very recent work The Quest for Annihilation: The Role & Mechanics of Battle in the American Civil War by Christopher Perello (Strategy & Tactics Press, 2009). The new Angle Valley Press newsletter announced the impending release (mid-March) of The Confederate Alamo: Bloodbath at Petersburg's Fort Gregg on April 2, 1865 by John J. Fox III. Given the overall quality of the publisher's catalog of books, interested readers lamenting the infrequency of Petersburg Campaign studies published in the field would be well advised to check this one out. Civil War Florida author and blogger Dale Cox mentioned today that his book The History of Jackson County, Florida: The War Between the States is now available. Part of a county history series, it picks up where the first volume The History Of Jackson County, Florida: The Early Years left off. As he covers a variety of Civil War engagements in understudied regions that are particular favorites of mine, I always look forward to Cox's well researched and written books. 1. Lincoln on Trial: Southern Civilians and the Law of War by Burrus M. Carnahan (Univ. Press of Kentucky, 2010). Carnahan, a retired JAG officer and George Washington Law School lecturer, offers his own interpretation of the morality and legality of Lincoln's war measures (as applied to southern civilians) in the context of the president's own time. 2. 'The Personal Observations of a Man of Intelligence': Notes of a Tour in North America in 1861 by James Fergusson, edited by Ben Wynne (True Bill Press, 2009). Sir James Fergusson was a Scottish MP that embarked on a 3-month tour of Canada and the U.S. during the summer of 1861. His report predicted a Confederate victory, and he also urged British intervention. I'll be most interested in reading his assessments of Canadian public opinion and the state of its defenses in the event of war. 3. British Ships in the Confederate Navy by Joseph McKenna (McFarland, 2010). This is a history of British involvement in the Confederate Navy and the three-way diplomatic fight that it spawned, with an emphasis on the ships heavily crewed by British citizens. 4. Gray Ghost: The Life of Col. John Singleton Mosby by James A. Ramage (Univ. Press of Kentucky, 2010). UPK is joining a number of other university presses in reissuing paperback editions of classic titles, new and old. This one was original published in hardcover in 1999 (same publisher).